"Dr. Ferber always takes time to make sure my questions are answered, I'm never rushed or dismissed and he shows a very land, calming bedside manner." "Very warm, took time with me." "His exams are always short and impersonal. I don't feel comfortable asking him more personal health questions because he never seems to have time. " "Thrilled to be w/Dr. Ferber for this 9-month journey." "I have already recommended Dr. Asaf Ferber to a friend - She loves him too!" "Dr. Ferber is one of the best doctors I ever met all over the world and he is the only doctor I trust here in NY." 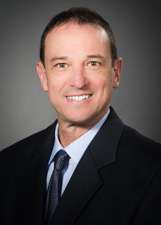 "Dr Ferber is an outsatnding doctor with excellent bedside manner and extensive expertise. He I is very knowledgeable, patient, caring, and kind." "Appointments with Dr. Ferber are very quick, sometimes under five minutes, which is great but sometimes makes me wonder how he gets backed up so frequently." "Dr. Ferber is an outstanding physician." "Dr. Ferber is a fantastic doctor who also is a very good person. " "Very satisfied & very thankful." "Thank you for the best services." "his care and dedication to patients are his defining attributes. he is the most thoughtful and caring physician I've ever had. his bedside manner is without reproach and his attitude towards his patients is one of genuine care, comfort and their well being, I couldn't if magine going through pregnancy without his support." "Dr. Ferber is the best OBGYN I have had-ever." "I switched to this doctor mid pregnancy and I was very nervous because I did not know what to expect. But I was immediately reassured by Dr. Ferber's overall attitude, kindness, demeanor and professionalism. He is the best and love the care I receive!" "Quickest, most unintrusive annual exam ever." "Outstanding Dr - Please see previous comment"
"Dr. Ferber is the BEST!" "Great. He was partner of previous doctors and so happy when retired and I switched to Dr. Ferber. He's great doctor."